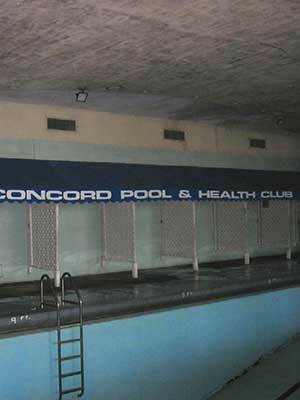 Why is a dehumidification system necessary to control humidity in an indoor pool/natatorium? How can I tell if the moisture level is excessive? How do you size the system? What are the recommended humidity levels for an indoor pool/natatorium? What are the recommended temperatures for a natatorium? 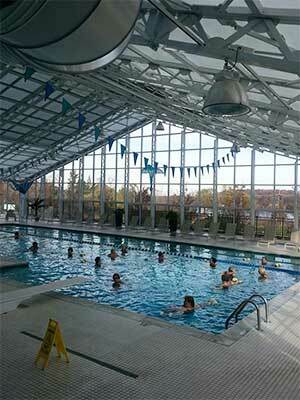 Why can’t we use outside air and exhaust fans in a natatorium? Indoor pools and spas, due to the nature of containing a large body of water, have a much higher humidity level than any other area of commercial or residential buildings. As this moisture reaches a 100% humidity saturation level within the pool room, humidity and moisture—if not controlled—are destructive to dry wall, wood, metal, insulation, interior structural members, and equipment. Additionally, this can foster an uncomfortable and unhealthy environment for all. A properly designed indoor pool dehumidification system will prevent the early deterioration of the structure by reducing the pool room humidity levels to the standards required by ASHRAE. While dehumidifying the indoor pool room environment, the system will also provide the necessary heating, cooling and additional free heat resources to the natatorium. The signs include an uncomfortable space, the presence of mold, corrosion, rust, wet and/or saturated drywall, ceilings caving in, and windows dripping to name a few. There are many variables to be considered when designing the appropriate system for a natatorium. Factors include the size of building and the pool/spa, ceiling height, geographic design temperatures, how the structure is built, insulation factors, heat loss/heat gain of the room, temperature settings, how the pool is used, heating method, if cooling is required, utility rates, etc. Veri-Dry works with each client to understand their situation and needs, then we recommended the most efficient and cost effective system to you’re your unique requirements. ASHRAE (American Society of Heating & Refrigeration Engineers) recommends 50-60% Relative Humidity to maintain the integrity of the structure and comfort of patrons. ASHRAE Guidelines for recreational pools is generally 75-85 degrees. Keep in mind this varies from residential to commercial pools, rehabilitation centers, diving schools, retirement facilities, etc.Veri-Dry will discuss the specifics of your project with you to help determine the best settings for your needs. An exhaust fan system or “Waste Ventilation System” as this is generally called – cannot control humidity in an indoor pool or natatorium 365 days per year. This system brings in outside air and “exchanges” it with inside pool room air by using exhaust fans to pull the moisture laden air out of the pool room. This “mother nature” approach might work on days when the outdoor air is the same temperature as the pool room and the humidity levels are as low as the pool room. These conditions rarely exist. A heat source is generally added to the heat the room. This type of system may appear to be the least expensive; however, because it is ineffective at controlling humidity, the cost of repairing the damage from excessive humidity, and the energy and utility costs, can make it a very expensive option. Today’s systems control humidity, reclaim all of the “free” heat in the room, and put this free heat back into your room and pool. This is truly much more energy efficient than waste ventilation systems and there are no humidity problems—all 365 days per year! The answer is also clearly demonstrated in the appalling image of a “health club” of all places. By relying on an exhaust fan/waste ventilation system instead of proper dehumidification, you can see both the structural deterioration and mold accumulation in this pool room which forced it to be shut down. This of course was caused by excessive humidity. All of the system’s equipment and peripherals are included in one packaged price along with engineering and shop drawings. 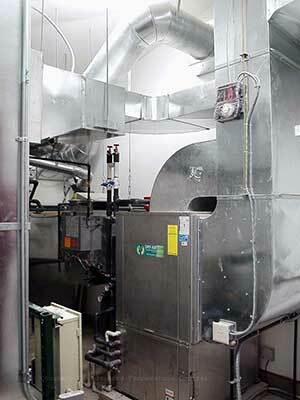 Keep in mind that a complete packaged dehumidification system provides a variety of functions. The system and the peripheral items provide complete dehumidification, heating and cooling of the space, and heat recovery/heat reclaim resulting in a highly energy efficient system. Please email us if you would like to see a specific question and answer included in our FAQ’s. Check back often as DXair updates these FAQ’s!